Suppose your spouse or child was diagnosed with a devastating medical condition. Treatment may cost more than you could have ever planned for. Financial gurus tell us to have three to six months of savings set aside for a rainy day. But even if you’ve done that, a debilitating illness can quickly deplete those reserves. Perhaps nothing is more challenging for the healthy spouse than the heavy financial load they carry when a crippling illness strikes. No matter how much you work there seems to be endless medical bills that aren’t covered by insurance, on top of the high cost of insurance and high deductibles that must be met before insurance kicks in. Your ill partner probably can no longer work; and you may need to take personal time off from your job without pay to take your loved one to doctor appointments, tests, treatment, and hospital stays. The financial strain is enough to break the strongest families. That’s where Lancaster County Field of Hope comes in. We provide help and hope to Lancaster County families facing financial hardship due to extraordinary, unexpected medical expenses. In May 2018, Joe, a custom furniture maker, was diagnosed with rare bile duct cancer. His employment came to a screeching halt as he endured horrific, disabling treatment. His wife, Barb, a longtime friend of mine, was suddenly the sole income provider, care taker of her critically ill spouse, and property manager. While she jockeyed between her job and Joe's appointments and hospitalizations, the household bills piled up right along with the medical bills. After hearing her stressful story, I nominated Joe to be a 2019 recipient of financial support from Lanco Field of Hope. He was accepted along with five other families from our community. 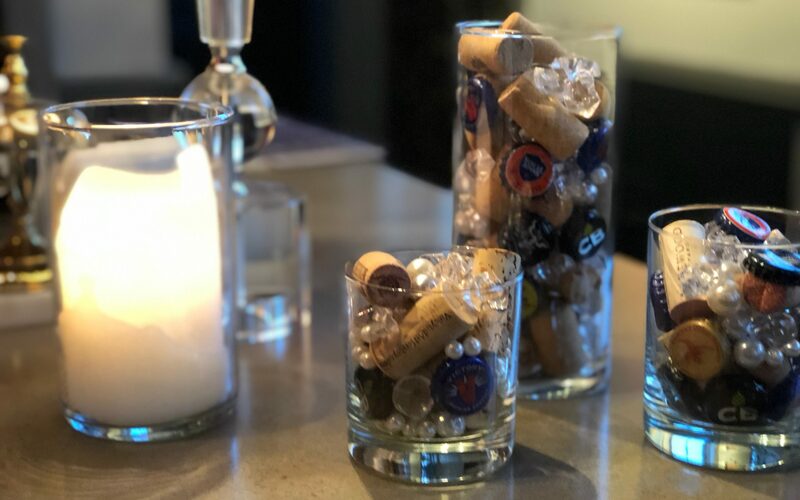 Then, I put my leadership skills into action and helped to plan a party: Hope@22 Uncorked & Untapped, a silent auction and fundraiser at Garth, a boutique venue and art gallery in the heart of historic Columbia, PA. Using my cheerful and persuasive personality, I influenced two of Lancaster County’s best: Thorn Hill Winery and Mad Chef Brewery to partner with us. Because they also have a “Give Back” model built into their businesses, they not only donated their award-winning wines and beers, but also gave their time to serve and sell their products on one of the busiest nights of the year for their businesses – St. Patrick’s Day. Every penny they received for pours, was generously donated to Lancaster County Field of Hope . Our friends from Mad Chef, Francisco and John, and Rachel from Thorn Hill. Local artists donated paintings. Other breweries donated beer baskets and gift certificates. Wineries donated wine and tastings. Restaurants gave generously. Our founders, Carol & Pete, auctioned a weekend in their luxurious "glamper", and two pop-up tappas dinners that each sold for $1,000. Local artist, Freiman Stoltzfus, donated this beautiful oil painting that brought almost $600. In three hours our community Uncorked and Untapped Support raising $8,000 to give help and hope to families near and dear to us. 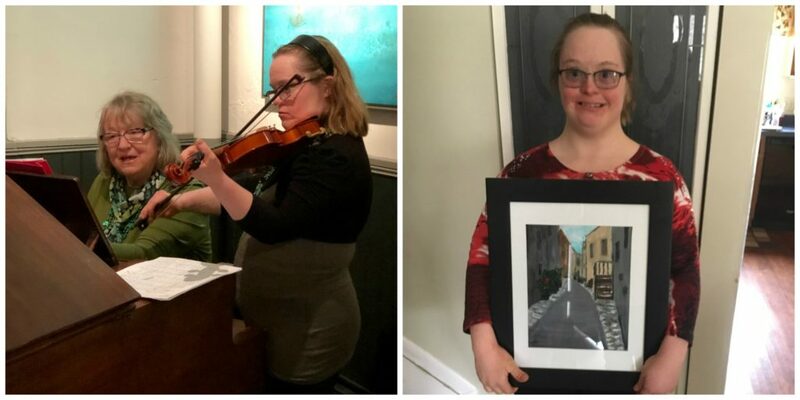 My friend, Sarah who has Downs Syndrome, not only donated a piece of her art that sold for $200, but also played her violin. 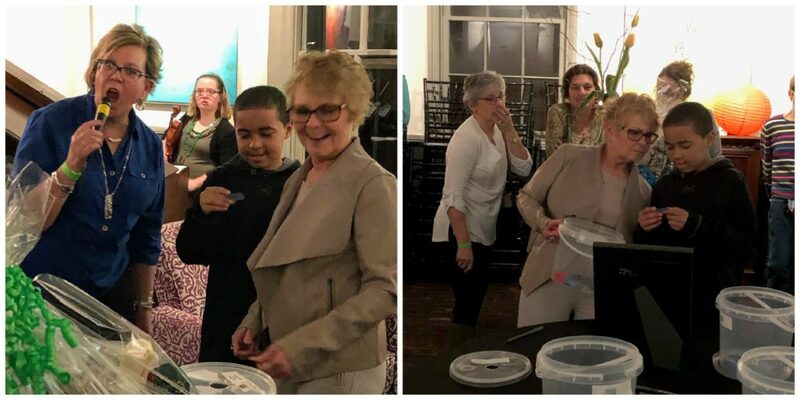 Carol, our fabulous founder, and Elliott an 11-year old battling leukemia and 2019 Recipient, drew names while guests waited with anticipation to hear if they were the winners. Light appetizers were provided by In A Pinch Catering. Jason is the awesome owner and chef - not only for this event, but also for our big farm-to-fork dining experience. 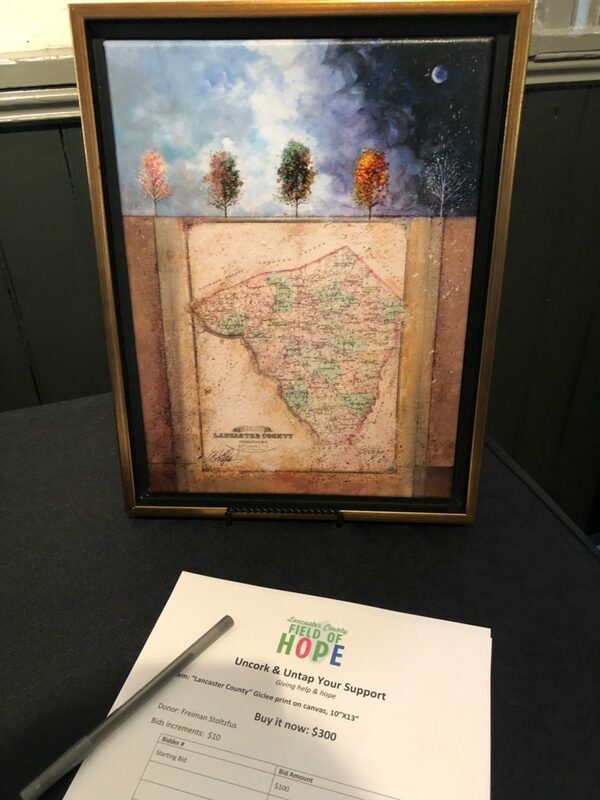 Because I believe in the mission and purpose of Lancaster County Field of Hope, and because they have helped families dear to my heart, I hopped on the planning committee for Hope@22 Uncorked and Untapped, and our big farm-to-fork dining experience. Join me at the Field of Hope open-air dining experience where there will be lots of delicious farm fresh food, wine, beer, and entertainment. 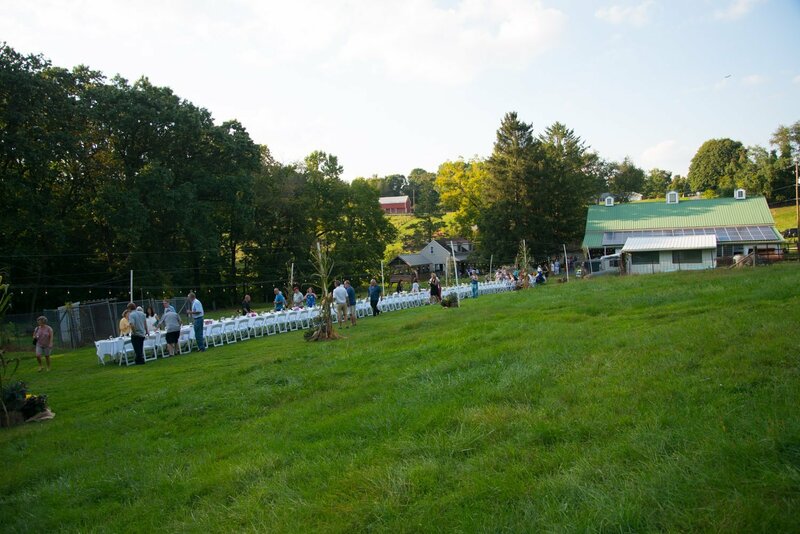 Hosted in a lush green field of the beautiful Heth Farm in Columbia, PA. The 2019 event will be held on September 14th. Not only have I given my time to this noble cause, but I’ve also put my money on the table. You can too! Tickets are $160 per person. Our goal is to raise $60,000 to benefit six families. If eight more of my friends join me at this event, Beth Rudy Consulting will put an additional $600 on the table. Together, we will have raised an additional $3,000 for Lanco Field of Hope. Contact my team for more information.